An observational documentary series where 6 rebellious teenage boys are sent by their overwrought parents to a wilderness camp for 3 weeks. The series, is guided & presented by clinical psychologist, David Coleman who devised an activities & wilderness-based programme, in collaboration with a hand picked team of instructors from the Delphi Adventure centre. The boy’s issues range from binge drinking, to dabbling with drugs, to truancy from school, to anger management. David also works with the teens parents to explore what possible reasons may lie at the root of their child’s misbehaviour and to give them an insight into how their children’s issues will be addressed within the camp experience. 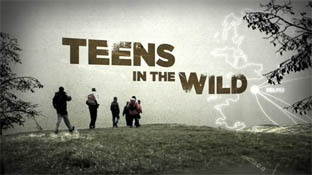 Programmes 1-3 in the series follow the experiences of the teenagers at close quarters for the duration of their 3-week stay in the West. The final programme sees David revisit each of the six families at home, three months after the camp to assess how the experience has impacted on everyone involved. The fundamental idea behind this unique project is to “build the boys up, not break them down” because poor behaviour often stems from low self-esteem. By putting the teens into basic accommodation in an isolated environment, and by removing all ‘must have’ accessories, they have the opportunity to get a break from home and to gain the skills needed to make some positive change in their lives.